The rise of Airbnb as a means of renting unused home space is a direct product of what many are dubbing ‘the sharing economy.’ It makes sense. You have an extra room or even a second home you are not using year-round, so why not make a little cash out of it? In these cases, Airbnb and other sites like it present a seemingly lucrative opportunity; that is, as long as everything goes as planned. Renting or subletting your home – even for just one night – essentially makes you a landlord. With that comes a certain degree of risk that your homeowner’s insurance may not cover you for. Before you list your rental, consider the following reasons why you might think twice. Airbnb offers two primary types of protection for hosts. The first is the Host Guarantee, which assures hosts that the company will cover third-party damages to the property or the host’s possessions during a stay. It is not, however, insurance, and Airbnb emphasizes that it should not take the place of property insurance. The other type of protection is the Host Protection Insurance, which covers third-party bodily injury and property damage liability. Despite being actual insurance, however, this type of coverage is also limited. Imagine, for example, you rent out the apartment over your garage to a student while he checks out some local colleges for a couple of weeks. During that time, he becomes ill due to mold in the unit’s HVAC system that you were unaware of when you rented the space. He sues you for medical bills and other losses, but the liability coverage from Airbnb refuses the claim because the damages were caused by problems that already existed within the unit when it was rented. Your homeowner’s insurance company also refuses the claim since it considers your Airbnb activity to be a business that requires business insurance. You are now left with a large judgment that could turn your side income into a major loss. It’s important to understand the extent of your homeowner’s coverage as it pertains to renting space on your property. In some cases, insurers may allow an extension of homeowners coverage for a one-time, short-term rental. Others may require you to purchase an endorsement instead. If you decide to home-share more frequently, however, you may need a separate policy altogether. For example, the insurer may require business insurance if you are regularly hosting guests in your home, or you may be required to purchase landlord or rental dwelling insurance if you are renting an entire property to Airbnb guests. Besides the insurance shortfalls you may face as an Airbnb host, there are other things you should consider before listing your rental. For example, does your homeowner’s association or condo association permit you to sublet your space? Even if it does allow rentals, how will your neighbors feel about you allowing strangers into the neighborhood on a regular basis? Then, of course, there are the risks for which there is no insurance. For instance, while it may be possible to find a policy that pays for damages to your property, it will be up to you to carry out or pay for the cleanup of any excessive mess the tenant leaves behind. 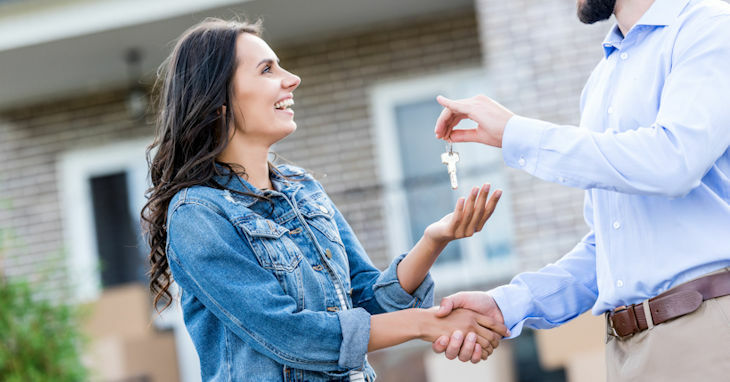 At the end of the day, it’s always a good idea to check with your insurance agent before renting your property either short-term or long-term. At Noah Insurance, we can help you evaluate the gaps between your current coverage and the coverage offered by your rental brokerage to determine if you may need additional protection for your rental unit. To find out more about insurance for Airbnb hosts in Wisconsin or Minnesota, contact our office today.